At Poirrier Group, “Team Poirrier” provides our clients with the best possible coverage, pricing, and service available globally, as a valued partner in lowering total cost of risk. Our focus is writing commercial accounts that require creative solutions to risk challenges. Our areas of expertise are the oil and gas and marine global markets, as well as governmental, construction, health care, restaurant, hospitality, and main street industries. “Team Poirrier” has over 75 years of insurance experience and vast expertise and knowledge in servicing the ever-changing property and casualty exposures in these industries. Poirrier Group has direct appointments with standard/admitted carries – our exceptional relationships with underwriters have been key in our delivering the best insurance programs and services available in the business. We offer risk assessment, contract review, loss control, safety plan enhancement, global marketing, claims management, and total cost of risk management. 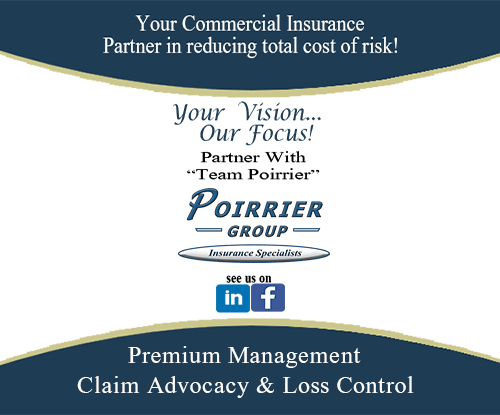 At Poirrier Group, we have the knowledge and experience to assist you with any of your commercial insurance needs. © Copyright 2016 Poirrier Group. All Rights Reserved.